I love corn muffins, especially with a steaming bowl of hot chili! Who doesn’t like that?! 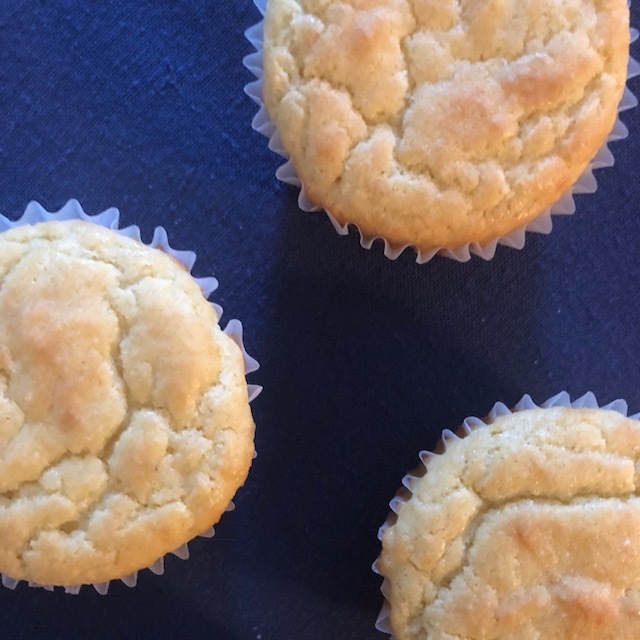 These muffins have a similar texture and taste as a corn muffin but are completely grain free. 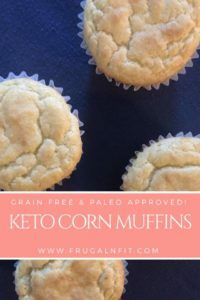 The original recipe can be found HERE but it calls for some dairy, which I’ve modified because being Paleo doesn’t allow for dairy. So this recipe is both Keto and Paleo friendly! How about that! They’ve got less than 1 gram of carb per muffin and are fabulous topped with some jam or honey! Though that would up the carb count so be careful if you’re being macro conscious. A grain-free & dairy-free muffin with a cornbread-like texture and taste! Preheat oven to 350 degrees. Either grease a muffin tin with cooking spray or use muffin liners, either is fine. In a large mixing bowl, stir all ingredients together until smooth and all lumps are worked out. Pour batter into 6 muffin cups and bake 15-16 minutes or until golden brown. Do not over bake as the muffins will crumble more easily. Cool 10 minutes and serve. These look divine! I will definitely have to make these!